Steam Trains Saturdays & Sundays! With the arrival of Memorial Day weekend, we are now running trains on a summertime schedule, with trains on Saturdays and Sundays! 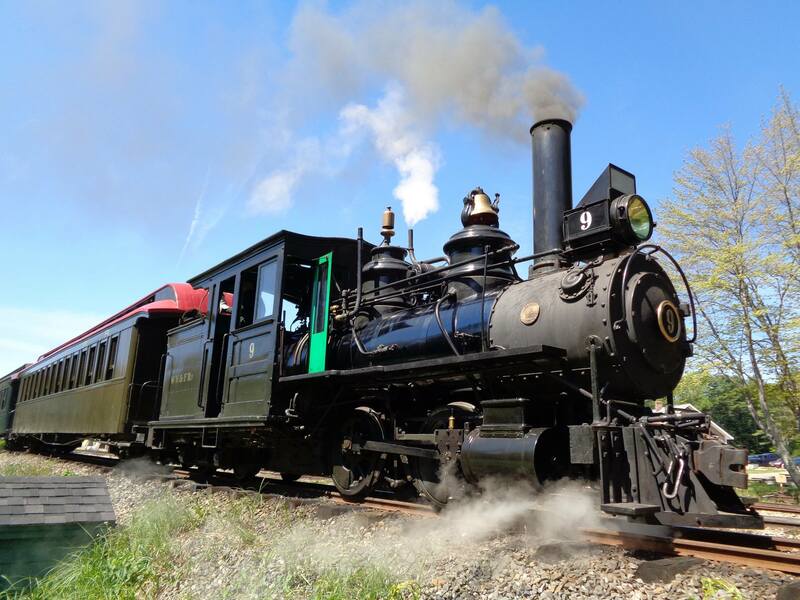 Steam trains depart Sheepscot station (97 Cross Road, Alna) at 10.30 a.m., 12 noon, 1.30 and 3 p.m. Our diesel train or Model T railcar will run at 10.55 a.m., 12.25 and 1.55 p.m. All trains operate crew, equipment and weather permitting. While there is a charge to ride our trains (except during Victorian Christmas), a visit to our Museum grounds is always free! Stop by any Saturday or Sunday 9 a.m. to 4 p.m. to see what projects are underway and watch trains depart and arrive at Sheepscot station. Learn more about the Maine two-footers! Previous PostThank You, John H. Emery Rail Heritage Trust!Next PostA Celebration of Alna, Maine, June 16th!